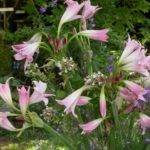 This crinum blooms more than any other variety. 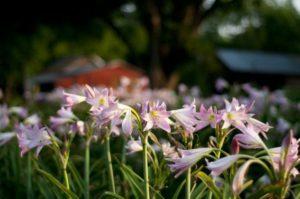 It begins flowering in June and carries on through the fall. Growing Conditions: This plant is cold hardy into northern Ohio (Zone 5). 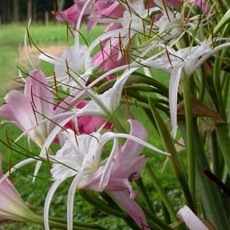 Flowers: The flowers are shell pink with rich-pink buds and a sweet fragrance. Their strong, erect stalks measure 60 inches. They make a great cut flowers. 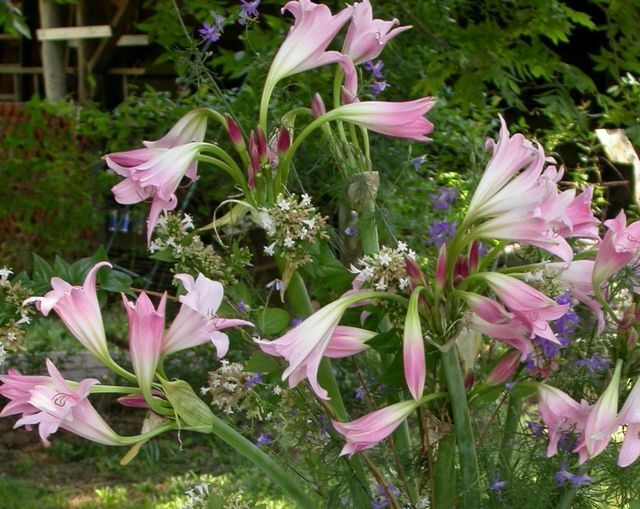 Flowering Season: This crinum flowers more than most. It begins to blossom in June and continues through the fall. Leaves: The glossy, Kelly-green leaves grow to a length of three inches. 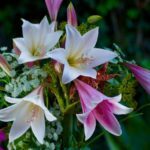 How To Plant: Plant to a depth of 12 to 15 inches in normal garden soil. 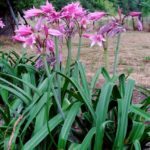 Where To Plant: Cecil Houdyshel goes great with many plants. Try it in front of any kind of crepe myrtle, with a groundcover of homestead purple verbena or with antique roses, such as Caldwell pink. 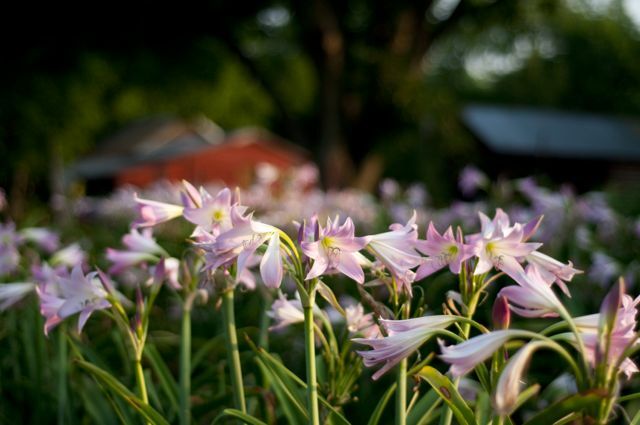 Our Bulbs: We ship our normal tennis-ball-sized bulbs, which are ready for flowering. I have given this one to my Mom and my Mother-in-Law and they both really enjoy the multiple blooms. My Mother-in-Law likes that she has something that is not common in her area of Virginia. Grows well in North Carolina also.